One of the perks of being a Massachusetts Photographer is that there is so much to do and take pictures of throughout the state. 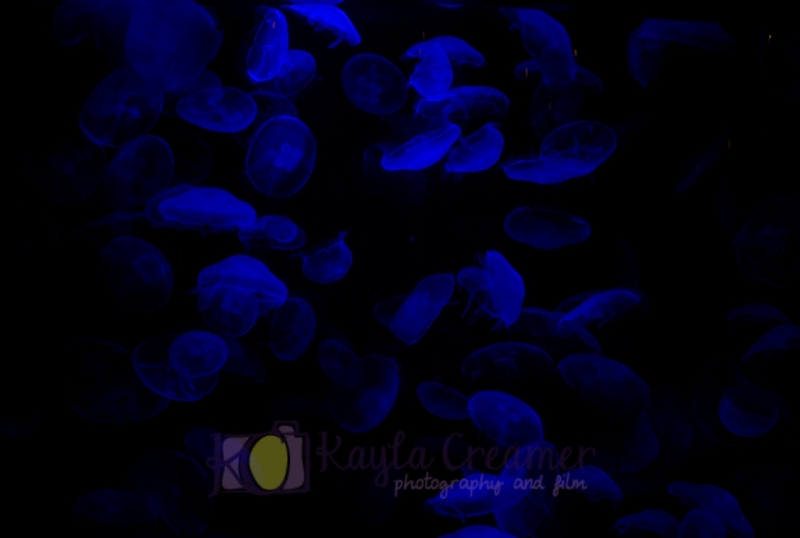 It was a lot of fun taking the day to photograph something outside of the usual weddings and events and take a trip to the New England Aquarium in Boston. My cousin Steve and his fiancé, Lance, made a last minute visit and hadn’t been to Boston or the Aquarium before, so we decided to make a day of it. I am by no means a native or expert in navigating through the city or the trains, but we actually managed to make it there and back without getting lost. I think I was in first grade the last time I went to the New England Aquarium. I won’t say how long ago that was, but it was long enough that I don’t think you’d have seen anyone with cell phones taking photos, let alone the number of people we saw. Haha! 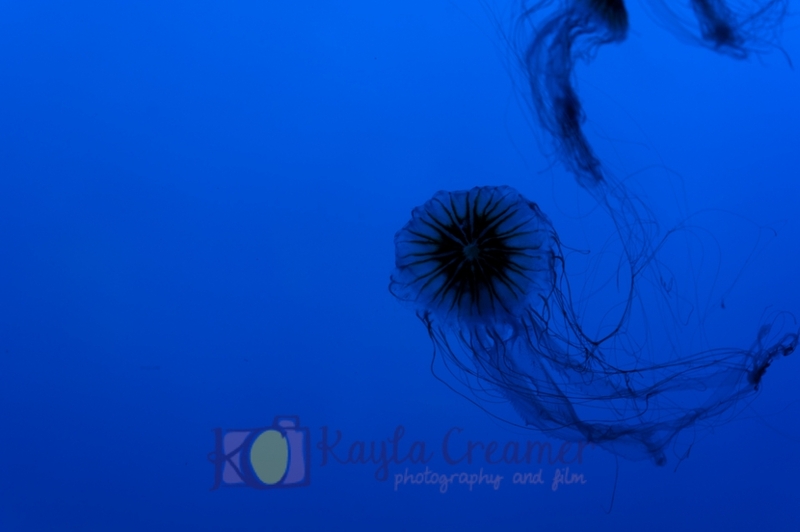 We had a lot of fun checking out the various fish, penguins, sea lions, and other sea animals, but by far my favorite sea creatures to photograph were the jelly fish. 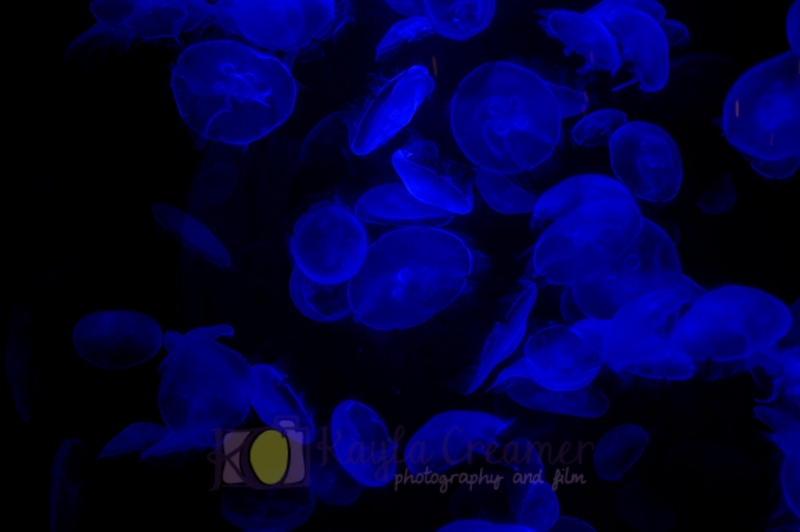 I got a number of jellyfish photos and, as you’ll see, decided to try getting a bit creative with photographing the school of fish. Check out some of my photos from our adventures below.